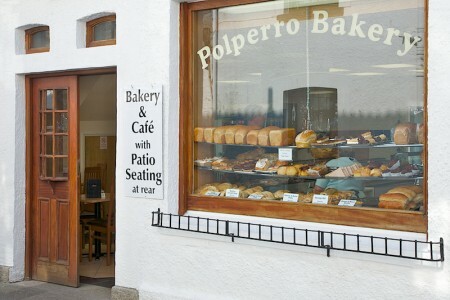 Kevin Sanders, a local Cornishman, took over Polperro Bakery earlier in 2018 and will be revamping the bakery and this website very soon. 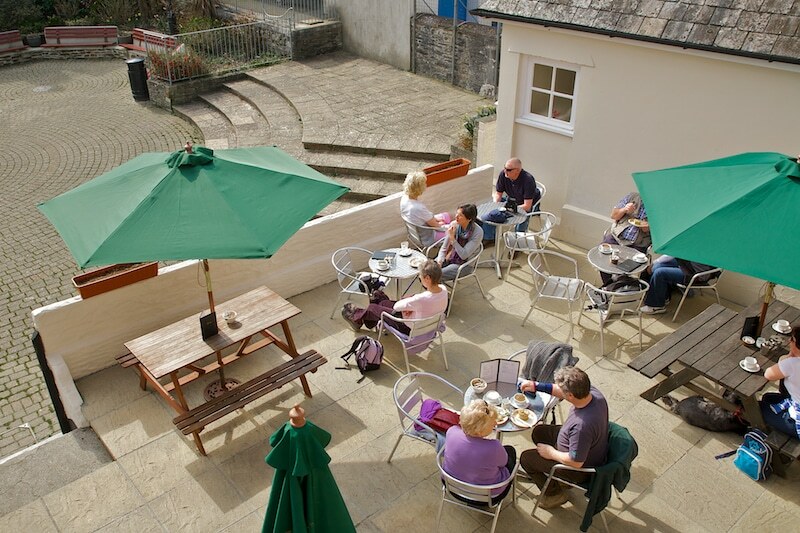 Polperro in the summer months can be rather busy, so we are really pleased to be able to offer our terrace to customers as a place to sit and relax away from the hustle and bustle of the main street. It’s a peaceful and secluded sun trap and a super place to sit and relax with a proper Cornish pasty or Cornish cream tea. What could be better? If you’re in Polperro for a holiday or just popping in for the day, come in and see us. We serve fresh sandwiches, delicious cakes, refreshing pots of tea, authentic coffees, Cornish cream teas and of course, traditional Cornish pasties – all day long. We’re only minutes from Polperro Harbour and the Southwest Coastal Path making us an ideal place to take a break or pick up a hearty lunch whilst on your travels. We look forward to welcoming you at the Polperro Bakery. The Google map below will help you get your bearings around Polperro. The red marker pinpoints where our bakery and coffee shop are situated, which as you can see is on the way to the harbour. Do pop in and pick up something for your breakfast, lunch or tea, we’re always open. The Polperro Bakery and coffee shop are open all year round.